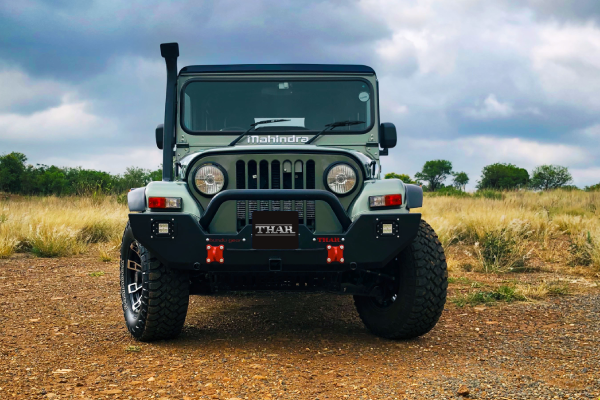 Mahindra has launched the special edition Thar Adventure Series in South Africa, where the made-in-India SUV has gone on sale for R293 999 (INR 1,411,601). The Mahindra Thar Adventure Series is a limited-run model based on the standard 2.5 CRDe 4x4 SE variant. It features a host of cosmetic updates and comes in three exterior paint shades - Rocky Beige, Red Rage and DSAT Silver. The Mahindra Thar Adventure Series is based on the standard 2.5 CRDe 4x4 SE trim and comes with various additional features that give it a distinct appearance. The front-end features a new bumper that has been designed to enhance the approach angle. The bumper holds LED lights from Bundu Gear and even features an integrated bull bar. The Adventure Series also brings in tow hooks and a snorkel. Other updates include rock sliders on each side, 'diamond-plated' metal side steps, and a new rear bumper. The latter features a tow bar. The Mahindra Thar Adventure Series features a removable hardtop from Getec. It can be had even in a standard canvas top. The side profile features stylish alloy wheels that have been shod with Hankook Dynapro all-terrain tyres. Like the regular version, the limited edition model comes with a mechanical differential lock in the rear and auto-locking front hubs. The SUV even offers a Borg Warner 4×4 hardware with a shift-on-fly mechanism. 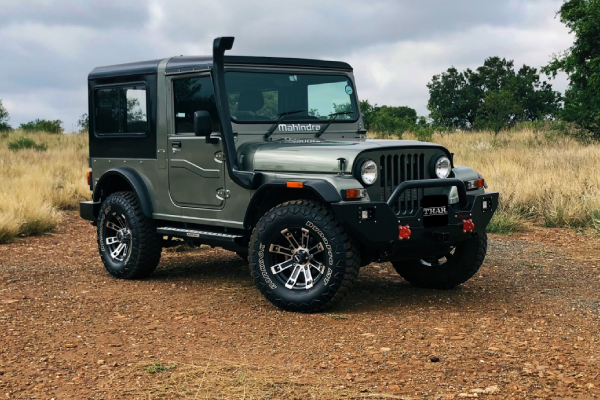 The South Africa-spec Mahindra Thar is exported from India. It is powered by a 2.5-litre CRDe motor that outputs a maximum power of 78 kW (104.6 hp) @ 3800 rpm and a peak torque of 247 Nm @ 1200 rpm-2000 rpm. Other features of the Mahindra Thar Adventure Series include HVAC, front cup holders, power steering, and a 12V power socket. The limited-run model is available in three exterior paint shades - Rocky Beige, Red Rage and DSAT Silver.